Ground shakers, hurricanes, claw scratching quitters, sour graps and all the September issues… What a week! It was the Heidi New Balance challenge making us all sweat in our designer slippers. I guess you could call it sportswear but I think the end result is definitely a sporty and casual chic look available for purchase on Amazon. ‘What Would Project Runway Shoe?” (#WWPRS) is about pairing a shoe or two with the winning look, and in this week’s case, looks, of the week. SPOILER ALERT! Stop reading if you want to wait and watch the episode first reading about the winning design. I’m not exactly sure what it is about this challenge that throws the designers so much. Cecilia called it quits because the guilt from her flailing last week was haunting her while Bert found a new way to bring upscale to sporty and sour grapes. It seems that its really hard to design New Balance Heidi Klum worthy outfits. And as such, there was a Project Runway first of no clear top and no clear bottom designs. There was no one team that had a collective win. However, Mr. Viktor (#PR9viktor) and Ms. Anya (#PR9Anya) were able to bring it with their versatile designs to take the top prizes of immunity and having their designs be part of the Heidi Klum for New Balance line. For Viktor’s urban warrior look, I picked the ‘Benjamin’ by L.A.M.B. Leave it to Ms. Gwen Stefani to master the urban warrior look. 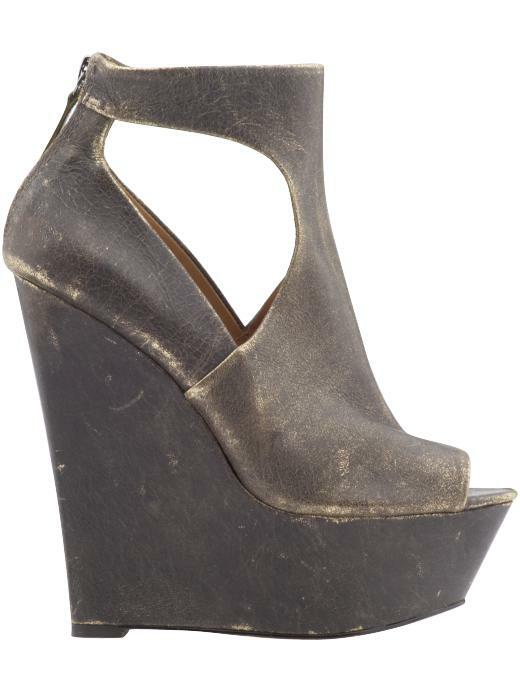 ‘Benjamin’ exudes urban warrior with its distressed color and edgy, modern t-strap like design. These are crazy high with a total height of 5 ¼” heel that includes a 1 ¾” platform wedge. These will give Viktor’s design that extra sass that every Working Girl needs to balance her pulled togetherness she masters every working day of the week. It seems that the maxi dress is here to stay for another season… It may be one of the most relaxed ways to transition into the Fall weather. The elongating effect you get from the smart design of the maxi dress lets you be easy breezy. 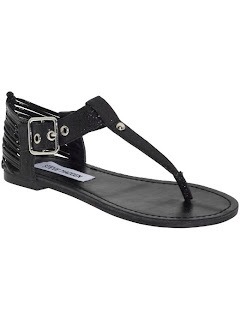 What better way to be easy breezy than with the ‘Serenite’ by Steve Madden? 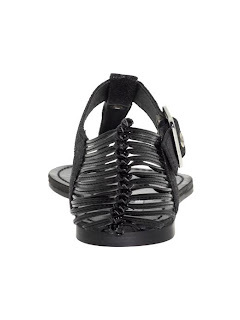 This fantastic thong sandal gets a great edginess from the buckle and woven back. The thong design is a great compliment the racer back on Anya’s maxi dress.